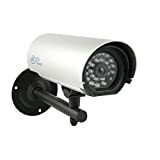 Posted in: Security Cameras & Systems, U.S. Patrol Tags: Camera, hidden motion camera, JB5472, Patrol, Photo, really cool, SECURITY, surveillance cameras, U.S.
Want a professional security camera that is durable, stylish and can see in the dark? The Clearvu Pro 31 is a quality surveillance camera that has all these features and more. 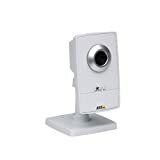 Its high resolution (420 TV lines) and sharp color CCD sensor assures you crystal clear imaging both day and night, indoors and outdoors. The night vision capabilities of the CV31 are astounding. It features 24 built-in infrared LEDs that allow you to see your camera's video in the dark, illuminating surrounding objects up to 45 feet away! The built-in CDS sensor will automatically turn on the LEDs only when it gets dark, which saves on energy costs. 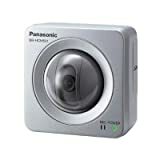 The camera's stylish housing is made of anodized aluminum that protects the camera and will not rust. It is dust proof and rain proof, and will even protect the camera from low pressure jets of water coming from any direction (IP rating: IP65). 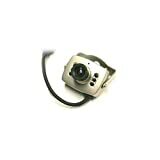 This camera can be easily connected to your TV, VCR, computer or DVR through its RCA connection. The mounting bracket has a large range of motion so you can monitor a large area of your property. Quality you can see and experience at an affordable price. 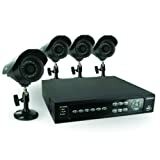 This 8 channel DVR features real time CIF recording, remote Internet monitoring and mobile surveillance through cell phones with Windows Mobile Pro and Symbian OS, and iPhones on 3G networks. The H.264 compression allows for maximum storage and little loss of quality, while recording video on to the pre-installed 500GB hard drive. It can simultaneously display live footage, record, playback, connect via network, and back-up without any recording loss. Q-See’s Digital Video Recorders (DVRs) are designed to manage multiple cameras, and enable users to view, record and playback recorded video locally or over the Internet. 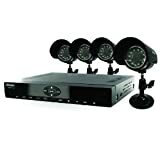 This DVR supports up to 8 cameras, and can be integrated into your current security system. With Q-See, surveillance can be handled remotely – Worldwide. For Product Questions contact Q-SEE at (877) 998-3440 or cs@dpsi-usa.com. Protect your hard-earned possessions, assets, and family; know who has been on your property; rid yourself of uneasiness when you travel on vacation or business. 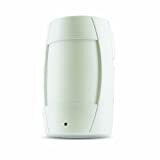 The SN500-4CH-002 offers some of the most advanced surveillance options available but in a hassle-free, do-it-yourself approach so you can have a fully functioning security system for your home or business in less time and for less money. The SN500-4CH-002’s online viewing feature allows you to conveniently access your DVR’s live or recorded video footage on any computer in the world with Internet Explorer. Checking in on your property is easy and means you will never miss a moment. This DVR is loaded with features that will help keep your property safe and secure. Record over 2 years of continuous video on the built-in 500GB hard drive. The SN500-4CH-002 is an effective and simple solution for protecting your property.